While running on your NordicTrack treadmill, you glance over in the corner at your dog sleeping and mutter to yourself that she's looking a little pudgy around the middle. You've come to the realization that maybe you aren't the only on in the house who can benefit from some exercise equipment. We've found five cool pieces of dog exercise equipment that will get her back into her ideal weight in no time. Exercise balls aren't just for yoga, Pilates classes and rehabilitation centers. They're also for our favorite pooch too. 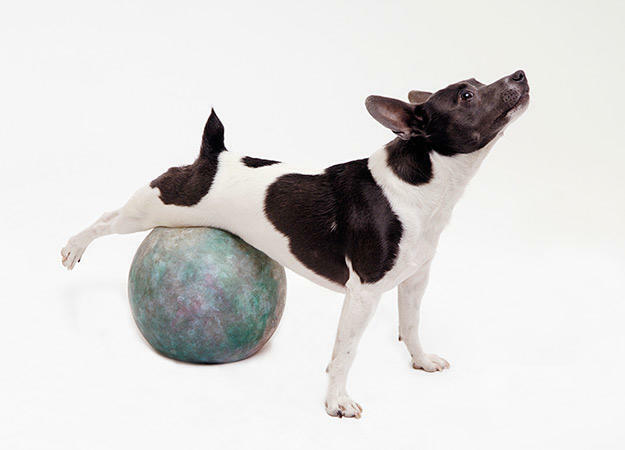 Exercise balls not only help strengthen the human core, they help strengthen your dog's core too. They also improve her balance, reaction and control. Some canines like to use exercise balls to play their own version of soccer.